Sandstone Walling Entry Statements by J.H. Wagner & Sons. J.H. Wagner & Sons' Entry Statements can be designed in conjunction with the client, project contractor, architects, engineers, landscape designers and installers to make your project successful and stunning. Ashlar Colonial Walling being the premium split colonial walling will achieve the premium look. The sandstone has a split finish to the face and all edges and is shaped into square and rectangular pieces - The Ashlar Pattern. The Kingston Park entry statement at Dalby has been constructed with mixed colour sandstone Ashlar Colonial Walling in a dry-stack method. Sawn capping with rockfaced edges finish the top of the entry statement. 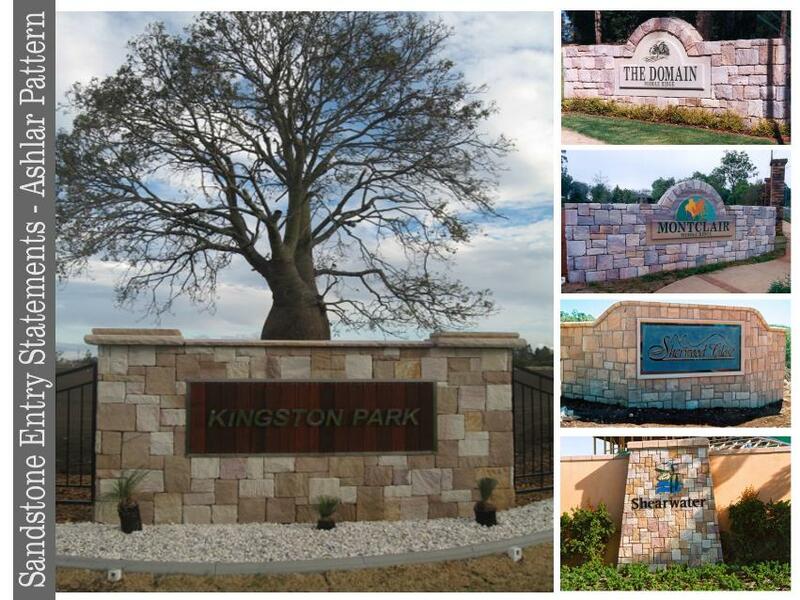 Sandstone Walling products and sandstone sign panels from J.H. Wagner & Sons can create a unique casual or informal Entry Statement or may be used to distinguish the most prestigious location. 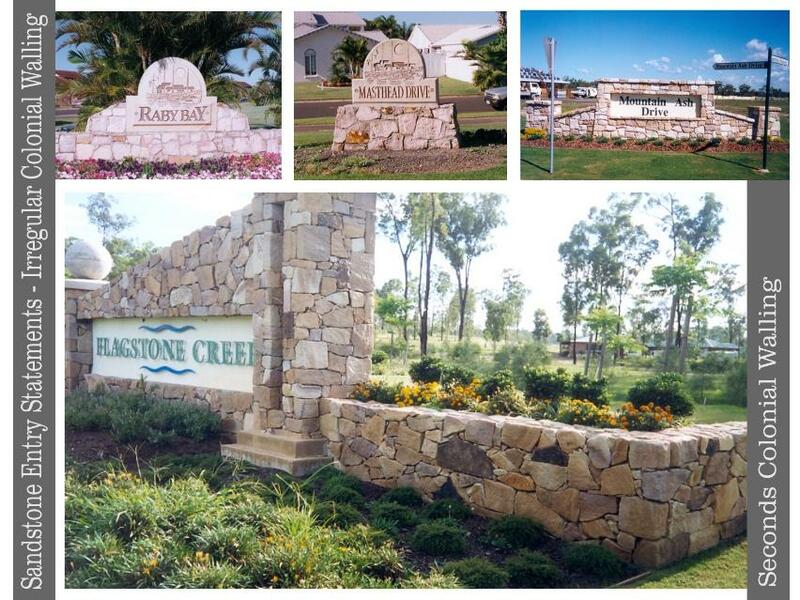 Seconds Colonial Walling used in the Flagstone Creek Entry Statement is the cost effective alternative product as it's a by- product of Irregular Colonial Walling, seen in the Raby Bay, Masthead Drive and Mountain Ash Drive Entry Statements.